Baking bread has been one of my most favourite activities in the past few months. 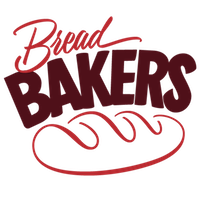 I am especially thankful to my lovely blogger friend Anshie Dhar who blogs at Spice Roots for introducing me to Bread Bakers, a group of bloggers who share with me their passion of baking breads. One of us picks a theme every month and the rest of us go and create a new bread around this theme. On this journey of bread baking I have come across so many lovely breads with so many beautiful stories revolving around them that I make it a point never to miss this baking challenge. Incidentally the person who introduced me to this group is also the host of today’s theme. Anshie chose ‘Griddle Breads’ as the theme for February and boy, was I glad! I love griddle breads as they are so much a part of my culinary heritage. Coming from South India I have grown up eating dosas (pancakes), chapathis and rice rottis (flatbreads) that I was instantly happy that I could slip back into my comfort zone and post something that could be easily prepared by my readers and they didn’t need to be intimidated by something fancy. I had bookmarked this recipe from the book ‘Step by Step Baking’ by Caroline Bretherton a few months ago and when the theme was announced I knew what I was going to make. The idea of making a multigrain griddle bread that could be whipped up in a jiffy was very appealing. Since oats in a porridge form has no takers in my house I decided that pancakes were a great way of getting my kids to have some. Without exaggeration, these oatcakes are among the BEST we’ve tasted!! A fresh oatcake right out of the pan was so very heartwarming and tasty that I walloped two of them without even adding the filling! The best part is that unlike our traditional Indian pancake batters which require a few hours of soaking and fermenting time this batter (or the dry mix) can be pre made and mixed up just an hour before frying the pancakes. My little darlings enjoyed these plain and with some honey while the husband and I ate them with bacon and cheese – the most recommended fillings as per every website I raided online. 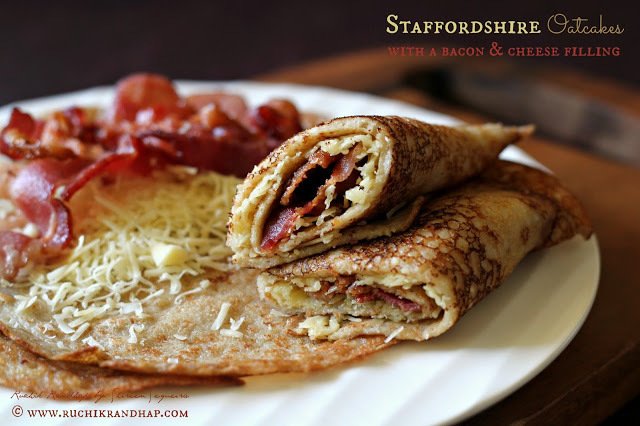 Staffordshire Oatcakes are called so by the non locals because they were originally made in and around Staffordshire and Cheshire in England. Locally they are simply called as ‘oatcakes’. Today also happens to be Pancake Day! So these pancakes are a perfect tribute to this day. Thanks Ansh for this theme! If you are a pancake lover you are definitely going to love these simple, delicious yeast fermented savoury pancakes! Sift the fine oatmeal, wheat flour and all purpose flour into a bowl. Make a well in the centre. In a bowl, mix the yeast, warm water, milk and sugar together and add this mixture into the flour and whisk everything together till you get a smooth, flowing batter. Cover with cling wrap and keep in a warm place for about 1-2 hours or till small bubbles appear on the surface of the batter. Heat a flat frying pan/skillet and rub it with a knob of butter, wipe off excess before it burns and turns brown. Add a ladleful of batter in the centre of the pan and swirl the pan so that it coats the entire surface of the pan. Let the oatcakes cook on a medium heat till bubbles appear. Then gently flip and let them cook on the other side till golden. Remove onto a plate or a hot box and continue frying until all the batter is used up. To make the filling, fry or grill the bacon rasher until golden and place them on one side of the oatcakes. Sprinkle grated cheese over it and roll up the oatcakes before serving. If you like you can place the oatcake with the cheese under a grill just to melt it a little bit or even place the cheese over the oatcake during the final stage of cooking so it melts a bit. Since I didn't have fine oatmeal I just measured 100 grams of Quaker quick cooking (not the instant ones that comes in sachets and needs to be cooked in mugs - just the regular Quaker oats) and powdered it in the dry grinding jar of my mixer grinder. 2. You can prepare the dry mix in bulk and just add the wet mixture to it an hour before you plan to fry the pancakes. This will save you a lot of time during the early morning rush hour on weekdays. 3. You can use a choice of fillings for these fantastic oatcakes. For savoury options, bacon, cheese, eggs or tomatoes work well. If you like to eat them like sweet pancakes try some maple syrup, golden syrup, honey, Nutella or jam. If you are a food blogger and would like to join us, just send Stacy an email with your blog URL to foodlustpeoplelove@gmail.com. I've made oat pancakes and my family loves it. I am bookmarking your recipe as you have used yeast and no eggs. A sure winner for the older members of my family. These oatcakes look gorgeous, Shir. I know miss S is going to love it because of the pancake form and bacon inside. Otherwise she never eats oats as is. Thank you for joining in this month. Oh my heavens, you are killing me. I just completely love these!! 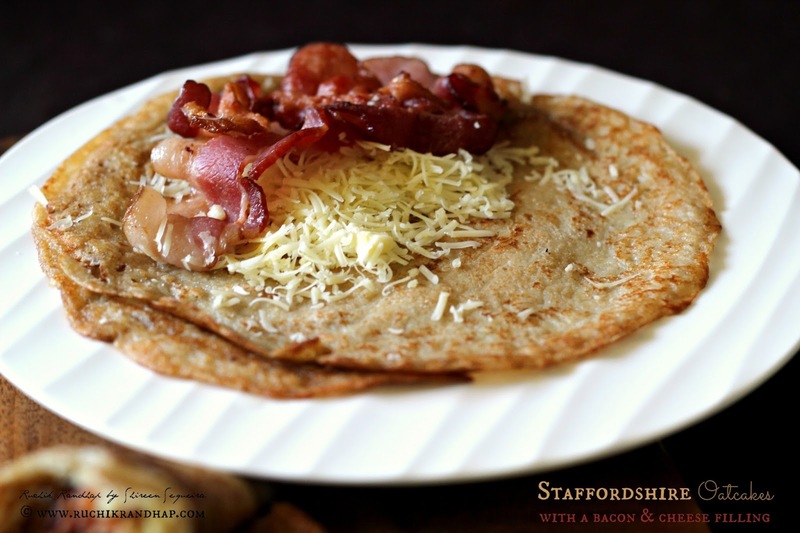 Bacon and cheese oatcakes? Oh heavens this sounds delicious. The oatcakes look like the perfect thickness to hold your ingredients and are browned just the way I like them! These oatcakes look amazing! Very different. I need these asap! Little oat cake burritos! I love that you said you walloped two of them!! These sound amazing! 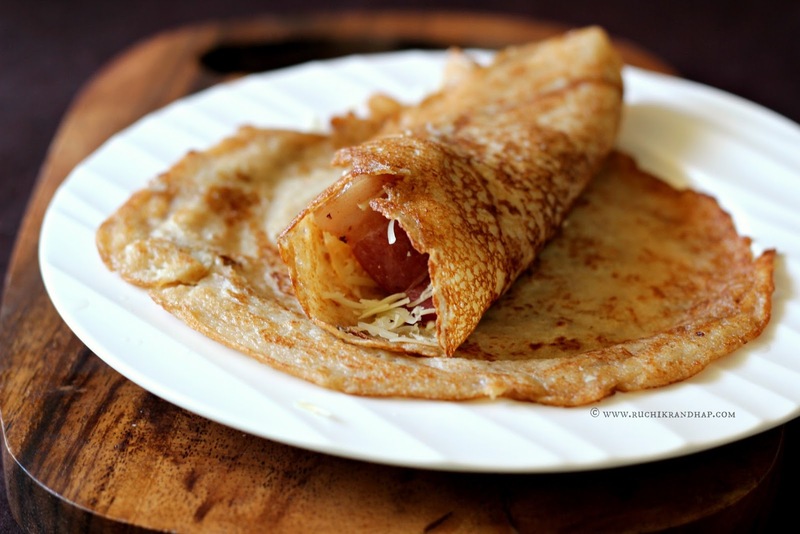 I love that these are thin and stuffed with goodies like a crepe but made with oats. 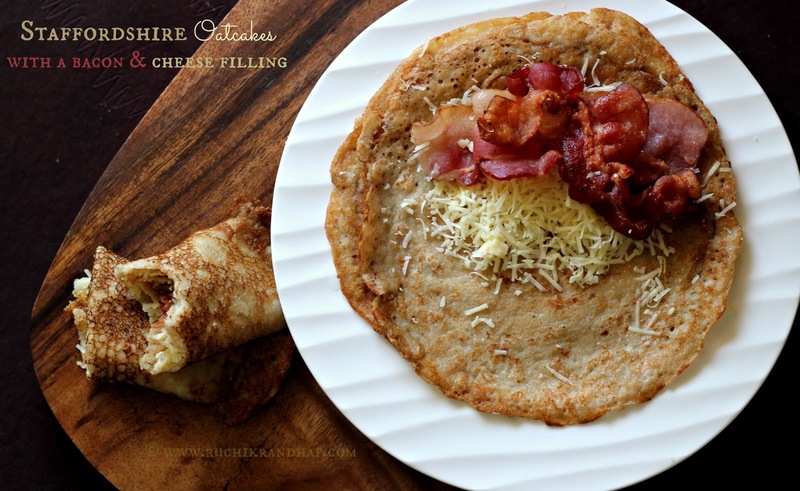 I love the idea of bacon in oatcakes! Yum. 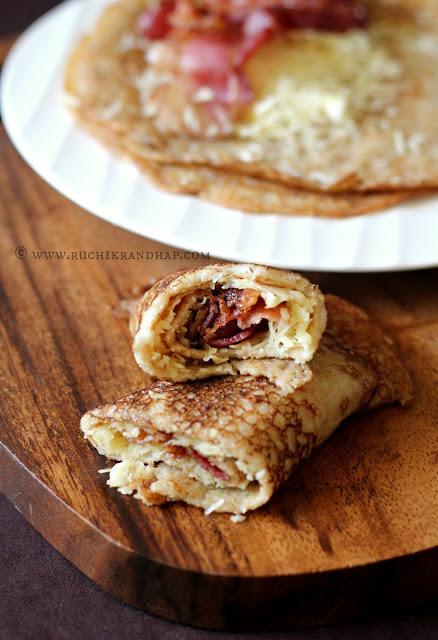 These pancakes are awesome and tempting with the bacon on top. Your oatcakes look amazing Shireen. They look like a cross between the fluffy American pancakes and the lacy South Indian ones — I'm going to try these soon. Oh, my goodness, Shireen! These oatcakes sound fantastic. And with bacon and cheese? Absolutely!